Two cities in the province of Batangas will be having a special non-working holiday on the same day that President Benigno Aquino III will be delivering his third State of the Nation Address. Batangas City will be marking its 43rd foundation anniversary on July 23, 2012. Aquino himself formalized this declaration through Proclamation 397, which you can read on this link. Meanwhile, residents of Tanauan City will have their annual Apolinario Mabini day on the same date. Known as the “Brains of the Revolution” and the “Sublime Paralytic,” the Filipino hero was born on July 23, 1864 in Barangay Talaga, Tanauan, Batangas. 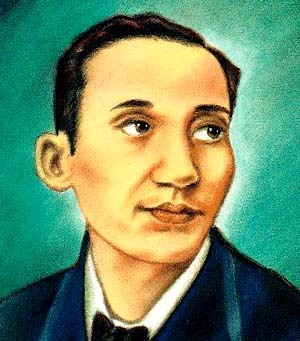 Given Mabini’s stature in Philippine history, one can’t help but wonder why Mabini day is not listed at least as a provincial holiday (unlike Aguinaldo Day in Cavite and Francisco Balagtas day in Bulacan). For their part, Gingoog City in Misamis Oriental will be celebrating their 52nd charter day also on July 23 by virtue of Proclamation 398 (click here to read its full text). According to the city’s official website, the annual charter day is celebrated with numerous festivities such as the Kaliga Street Dancing, Fun Climb, Bb. Gingoog Tourism Pageant, Sports Activities (Shootfest, Airsoft Competition, Skimboarding Competition) and Cultural Shows (Legend of Gingoog). Since these three events are merely local in nature, employees are not entitled to receive a double pay in case they report for work on these days. According to the Department of Labor and Employment, they will instead get an additional of 30% to their regular pay for the first eight hours of service rendered. Employees who will work beyond eight hours are supposed to receive another plus 30% to their pay rate on this particular day. It is worth emphasizing again that it is a must for employees to be present in the work day before a scheduled holiday. DOLE’s Handbook on Worker’s Statutory Monetary Benefits (released in 2010) states that an employee is entitled to a holiday premium only when “he/she is present or is on leave of absence with pay on the work day immediately preceding the holiday.” Download the 2010 handbook in this link. This entry was posted on Monday, July 9th, 2012 at 6:06 pm	and tagged with 2012 Batangas City day, Apolinario Mabini, Apolinario Mabini day, July 23 2012 Apolinario Mabini Day, July 23 2012 Batangas City holiday, July 23 2012 holiday Gingoog City, July 23 2012 Philippine holiday, July 23 2012 Tanauan City holiday, Proclamation 397 - Batangas City and posted in history, hodgepodge, philippines. You can follow any responses to this entry through the RSS 2.0 feed. Is July 23,2012 holiday in Tanuan City,but why it is not indicated in Proclamation 397,only City of Batangas is stated. Hi, Anika. Proc. 397 is only for Batangas City but I also included Tanauan City in this post since July 23 is also a holiday there traditionally. As per the office of the governor stated, the whole province of batangas is on special non-working holiday! Batangas city to sto tomas batangas. Hi, Leo. I just checked the site of site of your local government and I can’t verify the info you said. Hi is Lipa City private offices included in holiday on July 23? Hi, Neds. Sorry but I don’t think so. is january 16, 2013 holiday in batangas city?